Taking a security deposit is a no-brainer in the land of rental real estate. Sadly, property damage is an inevitable part of life for landlords and property managers. 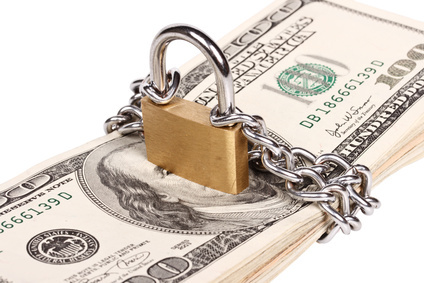 Security deposits protect the owner or manager if the tenant fails to follow the lease agreement. There are rules for how a security deposit can be used and the period of time that the money must be returned within by law. There are standard procedures for making sure the rules are followed and the money is available to the landlord under certain conditions and the tenant at the end of their lease, otherwise. This can be a lot to keep up with. Security deposit management is one of the many services a good property management company can provide to save landlords some time, energy, and even money. A thorough walk through with your tenant prior to move-in can ensure that all parties are on the same page. Noting the condition in writing and having the tenant sign the document can minimize disputes regarding existing damage vs. damage done by the tenant. Video documentation of before and after can also be extremely useful, if disputes do arise. It’s also VERY important that you don’t discriminate, in terms of your security deposit. Make sure you have the same policy for all tenants. By law, the security deposit must be deposited into a specific account and not an account with personal or business funds. Each year that this account yields interest the landlord must show interest made and pay that back to the tenant. If they cannot show interest amounts then it gets paid as 5% of the amount saved in the account. The security deposit can be used to pay for unpaid rent or damages by the tenant. These damages include holes in walls and broken appliances. The security deposit can NOT be used to pay for normal wear and tear on a property. The landlord or property manager must return the deposit or give the tenants written notice of claimed damages within the time allowed by each state. If you would like to rent an apartment please click here. To find out more about Lamacchia Property Management and how we can help you find the perfect apartment, email us at info@lamacchiapm.com.